Most people use text messages, email, and social media accounts every day. Although they provide a simple and efficient method of communicating with friends and loved ones, electronic communication can be dangerous for individuals who are going through a divorce or child custody battle. It is always important to keep in mind that an angry email or social media post may be submitted to a family court judge for his or her consideration. Unfortunately, a racy photo, bragging about an expensive trip, or a public rant can have a dramatic impact on an individual's credibility before the court. When going through a divorce, it is necessary to remember that a family law judge may read everything you say about your ex-spouse electronically. According to data recently released by the American Association of Matrimonial Lawyers, more than 80 percent of divorce cases in 2012 involved evidence taken from a social media account. In addition, more than one-quarter of all divorcing spouses allegedly made damaging claims or said negative things about their former spouse online. Individuals who are going through a divorce or tough custody battle should always refrain from committing their anger to writing. No matter the situation, no one should be blamed or told off via email, text, or other electronic means. In fact, it is a good idea to wait at least 24 hours before sending or posting anything that may be read in a harsh light. Always remember that people gossip and even trusted friends may be asked to testify in a heated family law dispute. 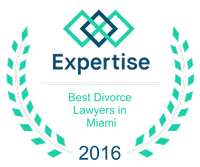 Each year, many Florida couples find themselves in the midst of divorce proceedings. The host of emotions that can accompany the dissolution of a couple's marriage often feels overwhelming. Additionally, the financial damage that can result from end of a marriage can be distressing. You don't have to face the divorce process alone. If you are in the midst of a contentious divorce or child custody battle, you owe it to yourself to discuss your rights and obligations with a quality divorce lawyer. Because family is important, the experienced attorneys at the Law Firm of Vilar Law, P.A. focus their practice exclusively on family law matters. 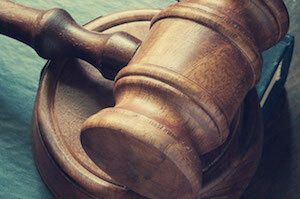 At the Law Firm of Vilar Law, P.A., our caring lawyers are available to help you navigate the divorce process. Our skilled attorneys can also assist you with your other family law needs including child custody and support, legal separation agreements, spousal support agreements, equitable distribution, post-judgment enforcement and modification, prenuptial contracts, and more. The Law Firm of Vilar Law, P.A. represents clients who are located throughout the Miami area. To discuss your divorce or other family law matter with a knowledgeable advocate, please give attorneys Patrick Vilar a call today at (305) 373-8000 or contact them through the law firm's website.